We always try to provide Manual and/or Artwork with our Gaem Boards, or at least a Pinout and DIP-Switch Sheet. 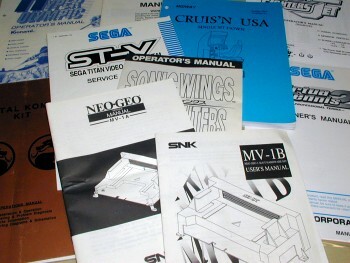 Some of the scanned documents like Technical- and Operator Manuals, Pinouts, Schematics, Flyers and Instruction Cards can be found here. You need an Adobe Acrobat Reader to view the .PDF files !